My friend had struck my literary Achilles’ heel. Voice is an aspect of writing craft I’ve struggled with for years. One of the frustrating things about being told you need to work on “voice” is that no one can really tell you what “voice” is. Once, in a writing workshop, the instructor asked us to give our definitions of voice. Tone, style, and point of view were some of the answers offered. “Yes, it’s all of those things,” she said. “Is it innate or acquired?” Both, the class agreed. Again the instructor nodded, suggesting that if we write with our innate voice we can refine it and make it distinctly ours. I didn’t find this particularly helpful. What is one’s innate voice? And if that voice is b-o-r-i-n-g (as I suspected mine was) how does one make it less so? Then I came across a definition of voice from memoirist Jennifer Sinor, who says things like style and tone contribute to voice. But they are not voice. She argues we know voice by its absence, by the distance we feel from the narrator and the story. “We can’t point to it on the page, pin it down, say that here, right here . . . we have voice,” she writes. This made sense to me. When voice is present, we have the sense, in the words of Philip Gerard, that we could pick the writer out of a crowd. And who couldn’t pick Brian Doyle’s voice from a crowd? Or David Sedaris’s? Or Cheryl Strayed’s? The piece that caused my writing partner to frown was a story about my grandfather who homesteaded on the Idaho desert in 1917. That harsh, blistering landscape was also my first home, but I had forgotten more about it than I remembered. Taking Sinor’s advice, I returned for a week-long stay, driving the gravel roads, walking the ditch banks, meeting with cousins and neighbors. The details began to gradually come back—the names of the weeds (nightshade, Russian thistle, lamb’s-quarter) that plagued our farm; the pith helmet my father wore every morning to set water; the German phrase (Ach, Du lieber Gott!) my aunt used to express her exasperation with us. All of this was helpful. But I’d done research before and written “voiceless” essays. Finally, I stumbled onto this advice from Pat Schneider, founder of Amherst Writers and Artists. Asking how to find your voice, she says, is like asking “How do I find my face?” She maintains we each have an original voice from childhood—our first voice—that’s steeped in the landscape, class, heritage, and family that formed us. Over time we develop our primary voice, which is the adult voice we use when we are most relaxed. It’s infused with the “color and texture from every place we have lived, everyone with whom we have lived, and all that we have experienced.” It also retains important traces of our original voice. My original voice is 1970s Idaho farm country. The lexicon of my childhood included words like corral, corrugate, and woodchuck. Schneider maintains that when we write in our primary voice, the writing has energy, it moves. A reader can’t help but feel the emotion, the genuine person, and experience behind the words. But too often, we write in one of our “acquired” voices—the voices we reserve for job interviews or to ask for a bank loan. The result is watered-down speech that has no color or emotion. So how do we unearth our primary voice and get it on the page? According to Schneider, the greatest threat to voice isn’t a lack of style or research. The greatest threat to voice is tension. Our primary voice—our true voice—emerges when we lose our self-consciousness. It shows up whenever we kick the editor out of our heads and just write. That is why writing fast to prompts and setting a time limit can be so helpful. It’s also why Schneider recommends saving first drafts—something I scorned for years as a writer, priding myself on throwing away those clumsy attempts. Yet those clumsy attempts had gems. Beautiful moments in which my voice rose from the page in that initial urge to write. Writers are fond of lecturing those new to the craft about revision. “Don’t expect your first draft to be your last.” But what happens for many writers is they revise their voice—the energy that moved them to write in the first place—right out of the piece. When I think of successful writing I have done, it’s not that I didn’t revise, but I didn’t revise it to death. I didn’t revise out my voice—the one thing I have as a writer that is uniquely mine because it comes from my unique experience. After my week in rural Idaho, I wrote an essay about my grandmother who was forced to register as an enemy alien in 1918. I described the ornate mailboxes in the tiny Eden, Idaho, post office where she was fingerprinted; the names of the horses that pulled the wagon to get her there; and the hundred-year-old photograph, affixed inside her alien registration card, of her standing in a grubbed-out desert in a white dress. These details were vital. But just as vital was my voice—which came easily as I thought about her silent humiliation, my grandfather’s bitter rage as he waited outside, the postmaster’s unexpected kindness. I hesitated. Then I responded that it doesn’t happen very often, but yes, it can. Now I wish I’d said, “Yes, yes, absolutely!” And when it does, protect it and return to that piece whenever you’ve lost your way. Remind yourself what your true voice sounds like. Then start there. 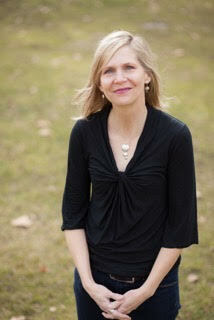 Susan Bruns Rowe writes and teaches in Boise, Idaho. Her work has appeared in Creative Nonfiction, Brevity’s Nonfiction Blog, The American Oxonian, and elsewhere. She serves on the editorial staff for Literary Mama and teaches creative writing workshops for The Cabin and the Osher Institute at Boise State University. For the reader, voice is the sense that a person is speaking directly and with full honesty and truth. Thank you for what you reveal about voice from the point of view of the writer. It is a wise reminder. Thanks for writing this craft essay! I appreciate you sharing your wisdom. Pat Schneider is one of my favorite teachers of writing. Her book is such a gift. Hi Billy—I agree! Pat Schneider is one of my writer heroes. Thanks for reading my essay. Wonderfully inspiring! Your essay gives me courage to hold on to my unique voice against those who critique and criticize. I love this. Sometimes, we do get it right the first time. I had an instructor who always had us students rewrite and rewrite. Nothing was good enough. This was so defeating. When I found another instructor and read my piece for the first time, she said” submit it”. I was grateful I listened to her. That story was published! Bless writing instructors who can see the a good beginning draft and encourage writers stop further editing. Most of us writers are not secure enough to see this ourselves. Thank you for sharing this insight. Thank you, Marianna. I wonder how many writers have experienced death by a thousand edits? Maybe it’s time to resurrect the early drafts of those pieces . . . Excellent. So glad I followed this all the way to the end. Susan, thank you for this very instructive and helpful article! I am learning when I have found my voice, and, equally important, when it’s not there. I also agree that writing fast and uncensored is a good method to discover and keep your voice, which is why I keep doing it. I am finishing working on a piece about my deceased brother and it is very important to me that my voice is authentic and comes through to the reader. Important for me to read your words this morning. I do agree that voice has to do with intimacy/truth/accuracy of meaning for the writer. Edits often pull us away from that very thing. Yesterday I did what I thought was a final edit on an essay to keep it tightly focused on one thing and took away the paragraph that veered a bit but got to the heart of what was in my heart. Back to the drawing board just in time. Thank you for this lovely piece. I can hear your voice loud and clear in this piece–excellent job. As I started this wonderfully helpful essay, I found myself thinking immediately of Pat Scneider’s advice on voice. So glad she helped you too. Excellent. This seasoned answer to “what is Voice” holds truth in delicate hands. This is the piece I’ve needed to read for a long time. I’ve been struggling with the concept of voice, and this post nails it for me! I found this through a link on Facebook from Janet Hawkins. I have been mulling over the idea of writing about the grief I’ve experienced as a result of losing my mom. I’m glad I read it because I want to write about my experience simply because I was unable to find anything that helped me. There was nothing with an “authentic voice,” I suppose. Danielle, thank you for your kind words! I hope you do consider writing as a way of processing your feelings of grief. There are some good writing workshops that can be helpful and supportive. Please let me know if I can help. As the former Executive Director of Amherst Writers & Artists, it is always a thrill to see the AWA Method extolled for its ability to support every writing voice. Thank you for sharing your own writing experience through this lens, since it gives encouragement to all of us who have doubted our authentic expressions. Would you be willing to allow us to use your essay in either our training manual and or as a link on our website? We would be honored to include your voice. I’d be honored. Please let me know how I can get in touch with you. Thanks for this timely piece. I am facilitating a writing class to new adult writers. Glad you found your voice!